Goodreads says, "The beloved American classic about a young girl's coming-of-age at the turn of the century, Betty Smith's A Tree Grows in Brooklyn is a poignant and moving tale filled with compassion and cruelty, laughter and heartache, crowded with life and people and incident. 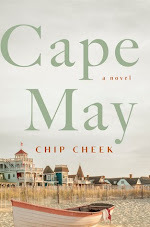 The story of young, sensitive, and idealistic Francie Nolan and her bittersweet formative years in the slums of Williamsburg has enchanted and inspired millions of readers for more than sixty years. By turns overwhelming, sublime, heartbreaking, and uplifting, the daily experiences of the unforgettable Nolans are raw with honesty and tenderly threaded with family connectedness -- in a work of literary art that brilliantly captures a unique time and place as well as incredibly rich moments of universal experience." Francie Nolan is a young girl that lives in Brooklyn at the turn of the century. Her Irish father, Johnny, is an aspiring singer and waits tables while dreaming of a better life. 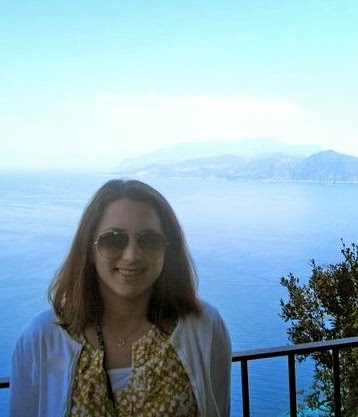 Her mother, Katie, finds herself supporting the family more than Johnny, as he is an alcoholic. Francie is an admirable girl living in poverty and wants a good education; she has a true love for learning. Francie and her family live a hard life, but just like the tree that grows in her neighborhood despite a lack of soil, sun, and water, her family will find a way to survive. 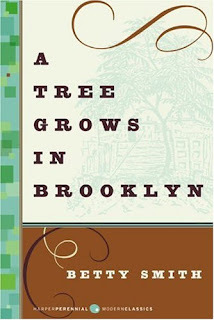 A Tree Grows in Brooklyn by Betty Smith really captures the American Dream at the turn of the century. Fans of coming of tales must read this literary gem. Francie is one of my favorite literary protagonists. What is not to love? Despite growing up in a rough neighborhood, she loves books, libraries, and wants better for herself. Her mother is also strong as she has been dealt a tough hand in life. She could easily give up, but is an honorable character and a role model for her family. On the other hand, Johnny, although a sweet romantic, is unpractical and brings his family down. It was hard to watch his slow spiral into alcoholism and its impact on the Nolans. "From that time on, the world was hers for the reading. She would never be lonely again, never miss the lack intimate friends. Books became her friends and there was one for every mood. There was poetry for quiet companionship. There was adventure when she tired of quiet hours. There would be love stories when she came into adolescence and when she wanted to feel a closeness to someone she could read a biography. On that day when she first knew she could read, she made a vow to read one book a day as long as she lived." A Tree Grows in Brooklyn's theme is a powerful one and will always be one of my favorite classics. It teaches us so much about perseverance, love, family, survival, and the American Dream. I display this classic proudly in my classroom library. I've heard of this one and am ashamed to admit, I know so little about it. Great review. So does it contain any political or social commentary? I've never read this one. I should remedy that. Great review. Juju- Thanks! There's no much discussion of politics- it's more about her struggle with poverty and overcoming it, etc. I hope you get to read it soon! Linda- Thanks for stopping by! I appreciate it. I read this for the first time last year and it is one of my absolutely favorite books! So glad to see another fan! I love the quotes you included as well. There are so many good quotes. Ahh now I want to read this again, LOL! Oh what a wonderful book! I haven't read it in years, but now you've totally made me want to read it again. Definitely a classic to revisit over the years! A Tree Grows in Brooklyn has been on my wishlist for a couple of years now. You make me feel like going out to buy it. I love your review and the quotes you have chosen were simply beautiful! Lori- I love to reread certain classics and this one would be high up on my list too. Thanks for visiting! Mari- Thanks! :) I hope you get to read it soon!